Every gardener knows that digging holes is a time-consuming procedure. To make planting easier, but also for a bunch of other purposes, you could use a garden auger. A garden auger is a device used to screw soil upwards and dig holes in the ground. Similar devices are used for many other purposes in different industries, and the main difference between the garden augers and the industrial ones is the dimension. Garden augers usually come as attachments to be used with most types of electric drills, and some manufacturers even propose them as separate power tools. To find out whether you need a garden auger or not, read our gardener’s guide that explains which are the different types of augers available on the market and how to pick one. If you don’t feel like reading, use the links below to go to our selection of the best garden augers on the market. Garden tool manufacturers launched on the market different types of garden augers that can be used for small gardening jobs or more complex works. Most of the garden augers available on the market are ideal to dig up holes up to 7 feet deep. These tools usually match with many types of hand-held drills and are easy to use. On the other hand, some augers are manufactured as separate power tools that are either hand-held or more complex machines. The latter are usually handled by at least two gardeners but present the advantage of being more versatile. 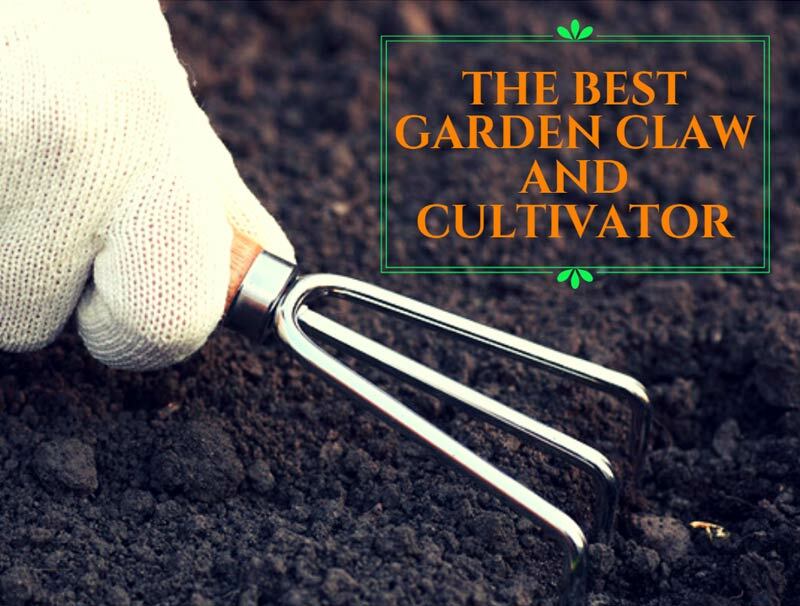 Since there are so many different types of garden augers available on the market, let’s have a look at the most popular. The simplest garden auger available on the market is a manual gardening tool shaped as a long screw with a handle on one end. The handle will allow you to hold the tool and twist it, to insert it into the ground and remove excess soil. The simple garden auger is ideal to dig small holes, such as holes for planting vegetables or trees. Most of them are about 2-3 feet in length, while the blades usually vary in size. Some simple garden augers don’t have a handle but are shaped to be attached to electric drills. This will allow you to dig holes with more ease, and most of them are compatible with both corded and cordless electric drills. Many gardeners use augers to drill wells. If this is the case, you will need a well drilling auger designed to cut into the soil and remove it from the bottom of the well, using a round cutting edge. This type of auger is more difficult to use compared to the simple garden auger. The instrument is handled with the help of a structure similar to a tripod and these tools are usually powered by an engine that uses either petrol or electricity. The largest type of garden augers is the double-handled, which require the workforce of two gardeners at a time. These augers are difficult to handle, especially by inexpert gardeners who don’t have experience in synchronizing their movements. Nevertheless, the double-handled augers have the advantage of allowing you to dig in any direction, not only vertically. This tool is also very powerful. In fact, many gardeners invest in a double-handled auger if they need to dig holes to fix a fence or other type of garden structures, such as a gazebo. These tools are usually powered by petrol, although some manufacturers also propose electric versions. Because most gardeners need a garden auger for small gardening jobs, we decided to concentrate on the first type of augers, either handheld or compatible with electric drills. If you never owned a similar tool before, find out how to choose one. 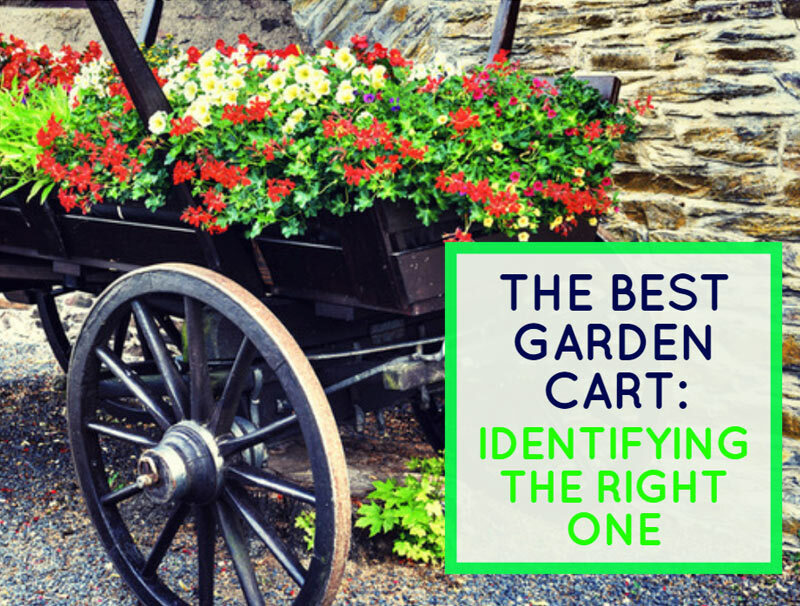 Purpose: the first thing to identify is the reason that makes you invest in a garden auger. If you only need such as a tool to plant some bulbs, flowers, or vegetables, then a simple auger with a diameter of about 2,75 inches is perfect. These augers are also perfect for turning compost piles. On the other hand, if you need an auger to aerate the ground or dig watering holes around trees, then an auger with a diameter between 1,25 and 1,5 inches is more appropriate. Weight: the weight of the tool is of crucial importance. Regardless of whether the auger you like is manual or operated by an electric drill, you will still have to hold the tool. Ideally, you shouldn’t invest in an auger that weighs more than 6 pounds. Compatibility: if you choose an auger to use with an electric drill, then you should check if the specific model you like is compatible with the power tools you own. Most garden augers are compatible with 3/8 inches drills, but you should check the tool’s specifications before buying. With this in mind, let’s see which are the most popular garden augers available on the market. Power Planter is a popular manufacturer of gardening tools and accessories famous for its extremely efficient, durable, and cost-effective products. One of these products is 3”x12” DIY Guru Auger, a tool designed for gardeners looking to plant crops or decorative plants in less time. The auger is also suitable for a bunch of other purposes, such as mixing paint or mortar, turning the compost pile, mixing grass seed or fertilizer. The auger is made of heavy-duty steel and it boasts a sturdy 5/8 inches shaft that fits all 3/8 inches drills. The shaft presents a non-slip hex drive and it exponentially increases the planting speed. The tool is suitable to drill holes in all types of soil. It is recommended to use it with power tools of 18 or more volts and it comes with a limited lifetime warranty. Made in the USA: this garden auger is manufactured in the USA. This means that the manufacturing process complies with the national regulations and it is a guarantee for the quality of the product. Ideal for planting: this auger is perfect for planting vegetables, potted annuals or perennials, bulbs, or bedding plants. Fits all 3/8-inch drills: it doesn’t matter what brand of power tools you own, as long as you have a 3/8 inches drill. Easy to use: the auger leaves the removed soil around the edges of the hole, while the heavy-duty steel shaft penetrates all types of ground with ease. The drill works well on all types of soil; however, its performances are not the best on wet ground. If Power Planter’s reliability inspires you but a 3”x12” garden auger is too large for your needs, a great model to consider is the 3"x7" Bulb & Bedding Plant Auger. This garden auger is made of the same heavy-duty steel as the model described above and it is capable of excellent performances. The tool is designed specifically for bulb and bedding planting, it is easy to use, and it fits all 3/8 inches drills. Planting the bulbs is as easy as pie. Just dig a hole as far as the auger will go, then take the tool out. You will obtain a hole of about 5 inches deep and with about 1 inch of loose soil on the bottom of the hole. Simply plant the bulb and use the soil on the edges of the hole to cover it up. The auger is ideal to use with cordless drills with a power of 14 volts or higher. Heavy-duty shaft: the shaft is made of heavy-duty steel and it boasts a non-slip hex drive that fits all 3/8 inches drills. Bulb planting auger: specifically designed for bulb and bedding plant, this auger is capable of digging the perfect holes. Easy to use: the auger fits all 3/8 inches drills and needs as little as 14 volts of power to dig up the holes. Multiple purposes: besides digging holes for planting, this auger is also suitable to mix fertilizer or compost, and even for other household chores. Compared to similar products, this auger is expensive. Nevertheless, if you are looking to invest in quality then a higher price should be expected. Another popular garden auger proposed by Power Planter is the 3"x24" Extended Length Bulb & Bedding Plant Auger, available in three versions. This plant auger is ideal for many chores and it is among the most preferred by the professional landscapers. The auger is designed for vegetables and bulbs planting, although it can also be used to dig signpost holes, to plant trees or shrubs, or even to mix mortar, compost, or paint. The auger is available in three possible versions. More specifically, you will be able to choose between a shaft with a 1/2 or 3/8 inches hex drive. In the first case, you will also be able to choose between a regular and a heavy-duty shaft. The 3/8 inches version works perfectly with cordless drills of 18 volts or higher. Efficient: this garden auger is perfect for multiple purposes. When it comes to planting, it is really efficient for bulbs, bedding plants, or bare root trees and shrubs. 24 inches long: thanks to its length, it will be easy to dig holes of any size. Rugged shaft: to dig the ground with more ease the shaft is made of rugged heavy-duty steel with a non-slip hex drive. Lifetime warranty: to assure the flawless construction of its products, the manufacturer offers a limited lifetime warranty on all its augers. The total length of the auger is less than 24 inches, and although the digging depth is about 22 inches the difference might still be a problem for some. A garden auger that will allow you to dig all the necessary holes with extreme ease is the Heavy Duty Bulb and Bedding Plant Auger by Better Garden Tools. This garden auger comes with an extra-long shaft of 28 inches that will allow you to dig without bending over. This feature is really useful for all those gardeners who suffer from back pain and other back issues. Moreover, the length will also allow you to dig deep holes for multiple purposes. The auger has a diameter of 2,75 inches, ideal to plant most bedding plants, vegetables, and bulbs. Moreover, the diameter is ideal for numerous bear root trees and shrubs as well. The auger is made of heavy-duty steel and it boasts a hex drive that is compatible with almost all 3/8 inches drills. Extra-long: the length of the shaft is a true advantage. Not only you’ll be able to use it without bending, but you’ll also be able to dig deeper holes. Multiple uses: besides digging holes, the auger is ideal to mix compost or fertilizer, to aerate the ground, or prepare mortar or paint. 3 years guarantee: the manufacturer offers a three-year warranty on labor and manufacturing defects that guarantee the quality of the product. Fits most drills: ideal for 3/8 inches drills, the auger works best with cordless power tools. The auger doesn’t have noticeable performances on the ground that is more compact. Whether you should invest in it or not depends on the type of soil you have. Last but not least, a great garden auger to consider if you need to dig watering holes or to loosen the ground before planting is the IRD-2, 30-Inch Roto Auger by Yard Butler. Although the diameter of the auger is only 1,75 inches, the holes are still ideal for planting bulbs, seedlings, or bedding plants. Another great advantage of this auger over the others is the length of the shaft. In fact, the auger has a total length of 30 inches and it can dig holes up to 28 inches deep. Regarding the ease of use, the auger fits on all 3/8 inches drills. Its performances are guaranteed above all when fixed on cordless drills. The auger is available in four different versions with shafts of different lengths. As such, if 30 inches feels like too much, you can choose one of the shorter versions. Versatile: this garden auger is one of the most versatile on the market, thanks to the length of its shaft that make it suitable for multiple uses. Easy to use: the auger fits on all 3/8 inches electric or cordless drills. It is recommended to use it with cordless tools. Excellent quality: the shaft is made of heavy duty steel and is treated against rust with high-quality paint. Lifetime warranty: the manufacturer guarantees for all of its tools by giving a lifetime warranty against manufacturing or material defects. This garden auger doesn’t have great performances on clay soil and it works best on loose, aerated terrains. Choosing the right garden auger means identifying your needs, the type of soil you have, and whether you want an auger for planting alone or to perform other chores as well. Because of its quality, popularity, and dimensions, we consider that the best garden auger available on the market is the 3”x12” DIY Guru Auger by Power Planter. To begin with, Power Planter brand is a guarantee of reliability. The tools proposed by this manufacturer are of a high-quality, made of heavy-duty steel and compatible with all 3/8 inches drills. Moreover, the length and diameter of this auger are perfect for a wide range of purposes. Starting with planting bulbs or bedding plants to planting vegetables, aerating the ground, or simply digging watering holes, this tool is perfect for every purpose. Last but not least, this auger is ideal to aerate the compost pile, to mix paint or mortar and also to do other digging holes in the garden or yard. For all these reasons, we consider the DIY Guru Auger from Power Planter the best garden auger available on the market.